been so glad not to be one in Edinburgh because, in this Atkins diet, there are no palatable options. Besides scrapping the lot (cost £750m), Atkins considers stopping the line at St Andrew Square, Foot of the Walk and Newhaven (the revised Line 1a plan) and concludes that the first carries the best cost benefits from their analysis. This is heavily predicated on the fact that over £450m has already been spent. It is also points the way to the likely decision of the council next week. Given the circumstances (i.e. between a superheated rock and a hard place with knobs on), any choice will attract criticism. But for Lesley Hinds and other Labour rentaquotes to get on their high horse about mismanagement by the present ECC administration stinks of hypocrisy. Ms Hinds and her Labour colleagues were running ECC when disastrous decisions were made, whether to hire a bunch of incompetents to run TIE in the first place, to shirk due diligence in ensuring TIE was kept on a tight rein in the second, or to allow their own egos to trump business acumen in the third. The original “Trinity Loop” line (Princes St – Leith – Newhaven – Granton – Craigleith – Murrayfield – Princes St) was well conceived and the only element of the first plan. It fed fast public transport to an area that had none. The whole waterfront development evolving from Leith to Granton needed more than buses to serve it properly. guided busway there to justify and they wanted the ‘status’ of serving the airport. The penalty for their hubris did not hit until February 2005. Rejection of congestion charging blocked funds to pay for shortfalls. 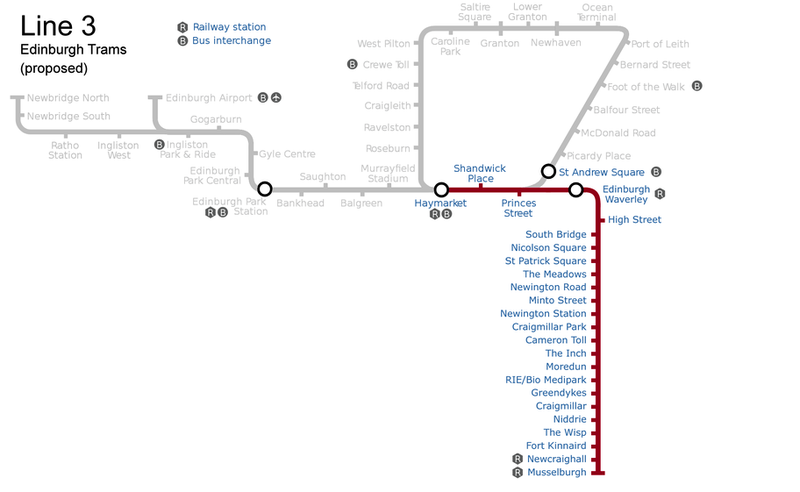 Not only did Line 3 (Newington – Cameron Toll -Craigmillar – Musselburgh) get the heave but, instead of the same being done to Line 2, the original Line 1 was pared back again and again, until all that was left of the ‘network’ planned was the added ‘ego’ line to the airport—stopping at Haymarket. Forget that TIE was a poorly managed black hole for money; forget that city businesses lost untold millions from building disruption; forget that profitable Lothian Buses are in line to have this financial albatross strapped round their neck. Labour leadership of ECC created this mess circa 2003. The eight years since have been wasted blaming others. Scrapping the lot today would cost £700m, with £460m already spent. Although a clean option, this can’t be sensible. But what, other than the writhing pythons on ECC’s desk?We need bold vision: the Scottish Government must take this (currently laughable) key project out of TIE’s grubbily incompetent hands and completes it—the whole thing, Line 1 (not 1a) Trinity Loop entire, as well as the Line 2 airport link—with or without private involvement. This might cost £200m more than scrapping the mess we have now, but it will give the capital city a full, viable tram network that could pay its way—and even justify extending it. That is, once the sharp stink of incompetence has faded from everyone’s nostrils. 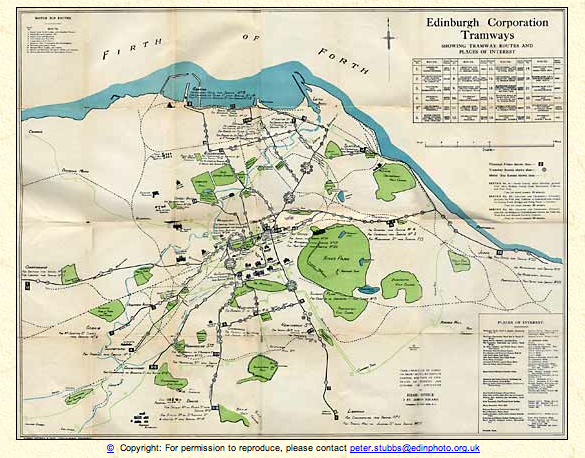 And, lest we forget, Edinburgh used to run an fine tram system (see below). It remained essentially intact until ‘modernisation’ replaced the entire system with buses in 1956. This entry was posted in Politics, Transport and tagged tram; public transport; Edinburgh. Bookmark the permalink.